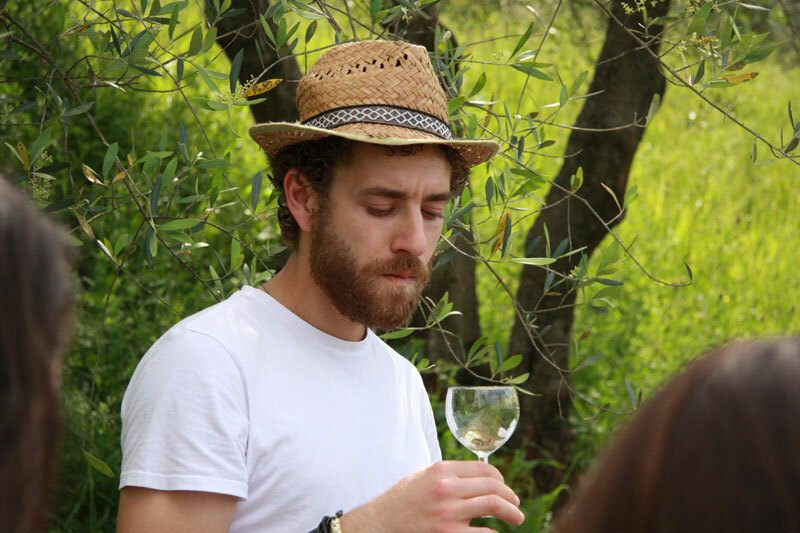 Luca, the youngest son of Giuseppina, studied viticulture and oenology in Siena and Florence for over 10 years. Although young knows very well l ‘ environment of Tuscan wine, and participated in the production of many fine Chianti wines. Our cellars, were built in 1909 and recently restored, keep the wine in ideal conditions for the making process and also for aging. our vineyards are composed of the most typical vines of the territory, as, Sangiovese, Colorino, Canaiolo, Malvasia e Trebbiano. In the latest period we also introduced Cabernet Sovignon and Merlot, expanding our productions. In our farm it is possible to see and touch every step of the Chianti wine making process. Accompanied by the owner, you will visit the vineyards where we grow our most typical vines and tradition. Every tour will end with a tasting of a wine selection as well as a tasting of extra virgin olive oil and gastronomic specialties. The wines will be accompanied by gastronomic specialties from our area. – Great Falisca trencher: salami, tuscan ham, boar sausage, our black olives, bruschetta, canapé, pecorino cheese with marmelades, vinsanto (sweet wine) and biscotti. – Great vegetarian trencher: from the season of our garden. We recommend robust shoe for all the activities related to Chianti Farmers. We will provide all the equipment for the vineyard work, depending on the season.